Lucifer is touted to be the most anticipated movie in the career of both Mohanlal and Prithviraj Sukumaran. Mohanlal, the Superstar of Mollywood, is currently busy with the works of his new movie 'Marakkkar: Arabikkadalinte Simham' which is being directed by Priyadarshan. The 'Drishyam' actor joined the sets of this big budget venture after completing the shooting of 'Lucifer' which marks the directorial debut of Prithviraj Sukumaran. The recent news about 'Lucifer' is regarding the finalization of its official teaser release date. If reports are true, then the teaser of 'Lucifer' will be released when along with the grand release of 'Odiyan'. 'Odiyan' will be released in a record number of theatres on December 14, 2018, and if the teaser trailer of 'Lucifer' gets attached to it, then it will be a double treat for Mohanlal fans. An official confirmation regarding Lucifer's teaser release date will be made in the coming days. 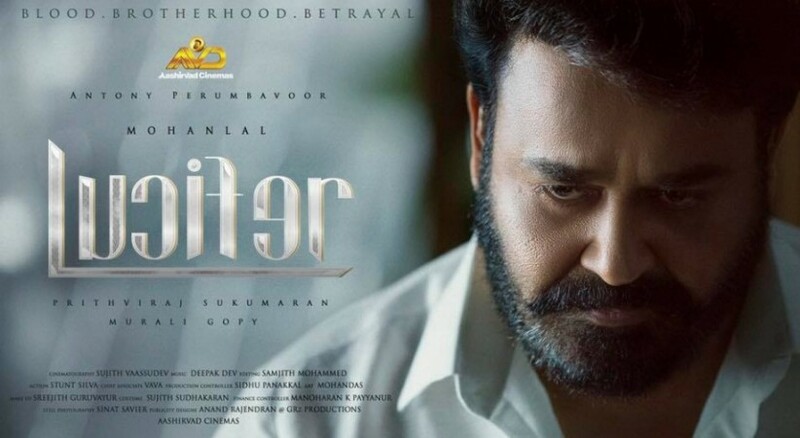 Earlier, it was speculated that the teaser of 'Lucifer' will be released along Mohanlal's 'Drama' which received a lukewarm response at the box-office. As several rumours surfaced online, director Prithviraj Sukumaran revealed that the teaser will not have its release with 'Drama'. 'Lucifer' is widely touted to be one of the most anticipated flicks in the career of both Prithviraj and Mohanlal. The film which is a political thriller will feature Mohanlal playing the role of Stephen Nedumpally, a cunning politician. Apart from Mohanlal, this movie also stars Manju Warrier, Vivek Oberoi, Tovino Thomas, Kalabhavan Shajon, Saikumar, Indrajith Sukumaran, and director Fazil in other prominent roles. It should be also noted that 'Lucifer' marks the reunion of Mohanlal and Vivek Oberoi after 16 years. The last time the duo acted together was in the 2002 film 'Company'. Murali Gopi who is a master in writing political thrillers has penned the script for 'Lucifer'. The music of the movie is composed by Stephen Devassy, while the camera is cranked by Sujith Vasudev. 'Lucifer' is bankrolled by Antony Perumbavoor in the banner of Aashirvad Cinemas.